2 Bedroom Flat For Sale in Blackpool for Asking Price £60,000. 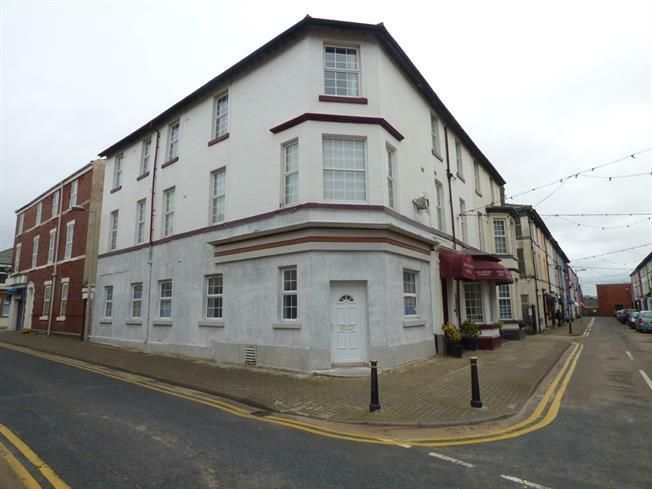 This spacious two bedroom ground floor apartment would make an ideal first time buy/investment opportunity. On internal inspection there is an entrance hallway with a large open plan living room and modern fitted kitchen, two bedrooms and a modern three piece bathroom suite. The property benefits from full UPVC double glazing, electric heating, viewing highly recommended. UPVC double glazed door. Double glazed uPVC window facing the side. Laminate and tiled flooring. Double aspect double glazed uPVC windows facing the front and side. Electric heater, laminate and tiled flooring. Fitted and wall and base units, stainless steel sink, integrated, electric oven, integrated, electric hob. Double aspect double glazed uPVC windows facing the side. Electric heater, carpeted flooring. Double glazed uPVC window facing the side. Electric heater, carpeted flooring. UPVC double glazed door. Double glazed uPVC window facing the side. Radiator, tiled flooring, part tiled walls. Low flush WC, corner shower, pedestal sink and wash hand basin.